All is well on Everest but communications on the Nepal side from base camp was disrupted when an early morning lightening storm took out part of the Wifi system. Updates are sporadic now. Teams are all over the region from base camp to Kathmandu to Shanghai! I received some amazing photos taken by Prakash Sherpa with Adventure Consultants while they were fixing the rope on the recent Nuptse attempt. Note how steep and exposed it is. 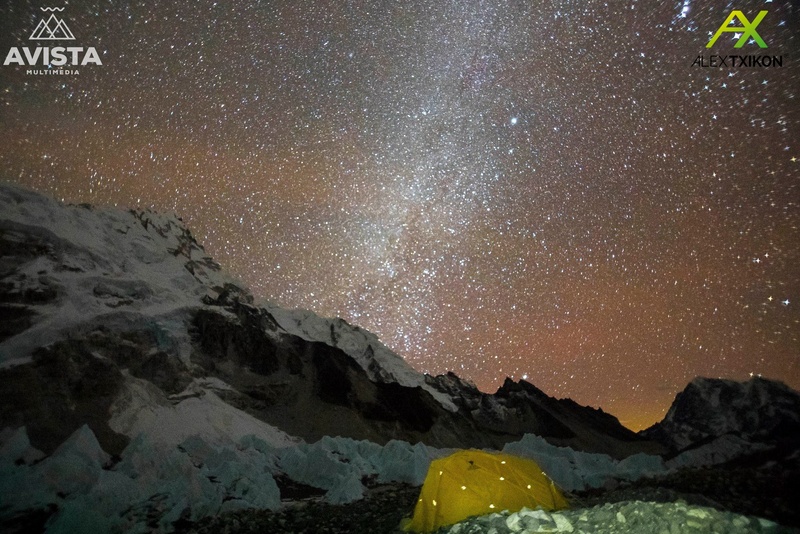 This is one reason not many people attempt Nuptse, in fact only 20 have actually summited. 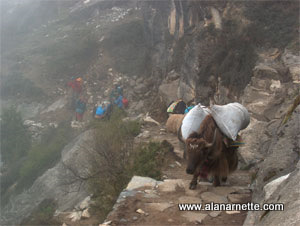 In may ways it is more technically difficult that nearby Everest and Lhotse. Boyan Petrov Missing on Shishapangma – Update Helicopter Approved! The weather seems to be clearing high on Shishapangma and a team of 10 are leaving base camp with the intention to summit, but also to look for missing Bulgarian Boyan Petrov (45), who was climbing solo, without supplemental oxygen or a radio. He left base camp on 29th April but stayed behind as teammates left Camp 2 on 3 May due to poor weather. He was spotted through a telescope on 5 May but nothing since. The rescue team has been put together by Chinese mountaineering officials has not arrived at base camp. And Petrov’s wife, Radoslava Nenova, has made an appeal for donation to fund the rescue attempt on her Facebook page. And for the last comment from Nobukazu Kuriki today, this stunning video illustrates why you never unclip from the fixed line and that goes for Sherpas. No one was hurt. Thank you for the continued updates. Wishing all the climbers a safe ascent and return when they start their summit attempts. Quick question – for Nuptse, is the route up via the Icefall and the Western Cwm, then up the face/shoulder with additional camps places up higher? Thanks! Its the same route as to Camp 2 in the Cwm (Icefall, C1, Western Cwm) but then you cross the Cwm at C2 heading south and its somewhat direct to the summit. No additional camps, usually climbed in one push starting from ~22,000’/6705m. 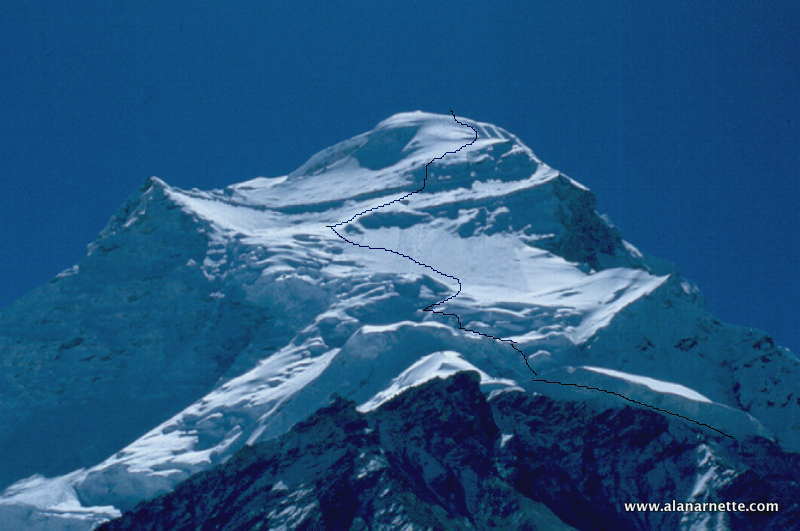 The actual summit of Nuptse 25,791′’/78611m across from C2, not what is seen from EBC.